Today we opened the new equipment which was bought from the Active Kids vouchers. 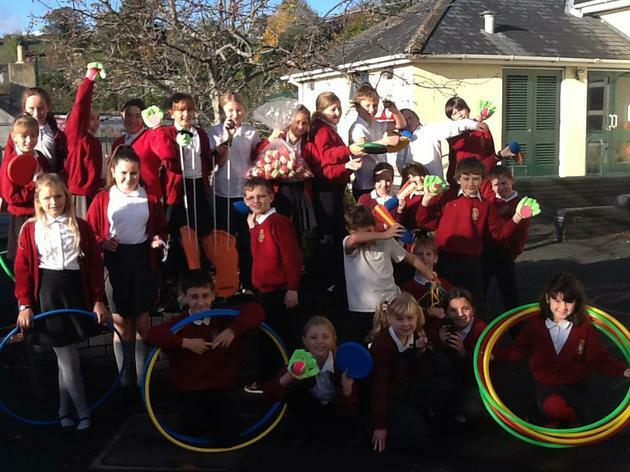 Thank you to everybody who collected vouchers - we now have new balls, crazy feet, frizbees and other assorted games. We will be bringing this equipment out at playtimes. We now have a new Play Crew and are looking forward to working with them to help everyone to have happy and active playtimes. Thank you to all of the children who have applied for and taken up the role.